March 20 is almost here which means celebrating macaron day! 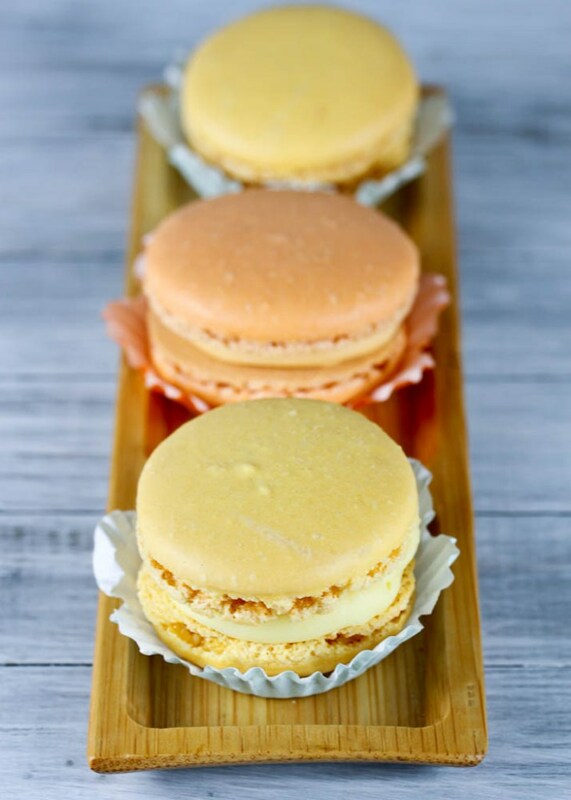 I’ve been trying to use my homemade Meyer lemon marmalade and blood orange marmalade in creative ways, and I thought what better way to showcase these flavors than in a macaron? These macs have a creamy white chocolate filling which is flavored with curd. The curd contributes in getting a really silky and smooth texture. Then in the middle, you get a little surprise: a bit of tangy and sweet marmalade. These may take a bit more time to make because of all the elements involved, but they are so worth it! Assemble the macarons: Pipe filling on one macaron shell. Pipe a dot of marmalade in the middle, place another macaron shell on top. Refrigerate in a covered container. Remove from refrigerator and let come to room temperature before serving. 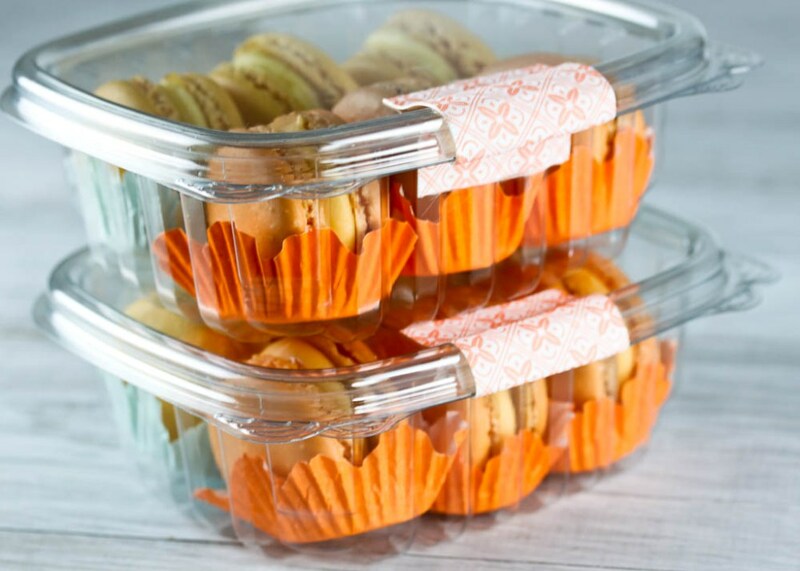 Macarons will last about 1 week refrigerated. 1. Melt chocolate over a double boiler. 2. In a small saucepan, bring heavy cream to a boil. Turn off and set aside. 3. Add cream in two additions into the melted chocolate. 4. Whisk in warm curd, a little bit at a time. 5. Refrigerate until ready to use. 1. In a medium saucepan, combine egg yolks, Meyer lemon juice, zest, and sugar whisk until combined. 2. Cook over medium heat, stirring constantly with a spatula until the mixture reaches 160°F and coats the back of a spoon. This should take 10-15 minutes. Do not let the mixture boil. 3. Remove the saucepan from the heat, add the salt, and the butter one piece at a time, stirring until smooth. Strain through a fine mesh sieve into a bowl. Cover with plastic wrap and chill until set. 1. In a medium saucepan, combine egg yolks, orange juices, zest, and sugar whisk until combined. 3. Remove the saucepan from the heat, add the salt, and the butter one piece at a time, stirring until smooth. Add in the blood orange essence or concentrate. Strain through a fine mesh sieve into a bowl. Cover with plastic wrap and chill until set. Note: Oranges don’t have enough flavor or acidity to make a flavorful curd, so I add a few drops of blood orange essence or concentrate. Either can be purchased at pastry supply stores. I use lemon juice for acidity, navel orange juice for flavor, and blood orange juice for color. I’m submitting this blog post to this month’s MacTweets Challenge: Mac Attack #27 Macaron Day Macarons. Go check out everyone’s fun and creative ideas! WOW!! These macarons sound amazing! I simply adore citrus flavors. I think these macs just scream Spring and must taste fresh and vibrant with both the curd and the marmalade. I want one right now! I’ll need to make these now that I’m finally getting better at macarons 😉 Wonderful recipe! These are gorgeous Cecelia – I love both these flavours and will be trying these out myself soon. Happy Jour du Macaron! Oooh, citrus flavors are fashionable this spring! 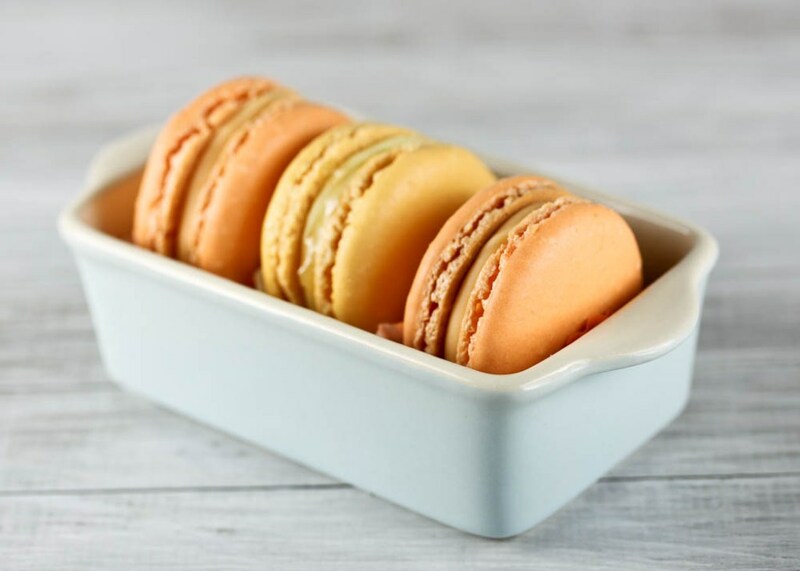 I especially love your lemon macarons (I made some with lemon curd but I like your idea of mixing in the marmalade with the white chocolate). Happy spring to you–and Happy Macaron Day! Just stunning. I love how beautifully they came out and the flavours are right up my street. Happy Macaron Day Cecilia. Thank you for bringing such joy to MacTweets! Just beautiful. Love these lemon and orange beauties. These were delicious, thank you for sharing! Pretty! And, quite a lot of work to make two varieties in one go – let alone two different fillings, each made with two different curds! Thumbs up! great recipe. They came out beautifully. Already added to my favorite macaron. 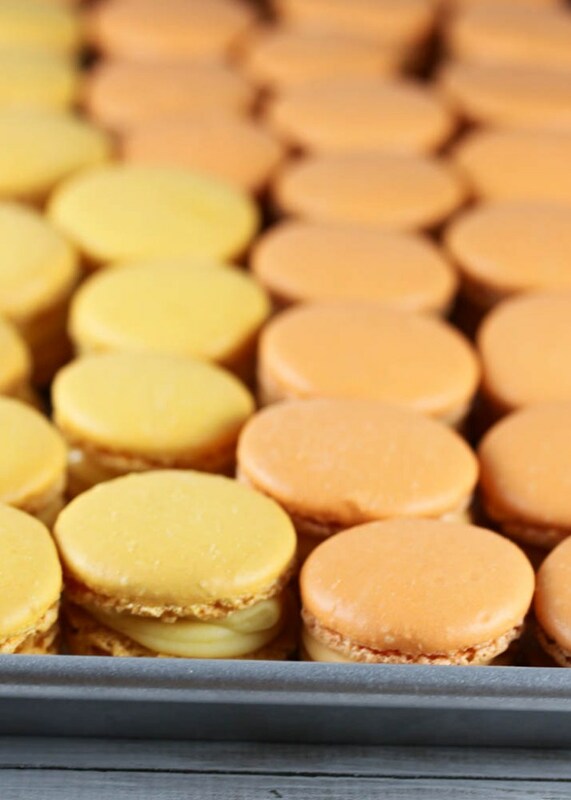 Do you find this type of filling makes the macarons softer; due to the wetness? Can you provide a link to the type of blood orange essence you used?